Adaptive re-use is starting to dominate hotel development. In the last year-and-a-half, R.D. Olson Construction says that the majority of its hotel projects have been major redevelopments or adaptive reuse projects. 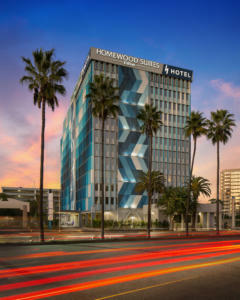 The construction company recently completed an adaptive re-use hotel project near LAX, converting a dilapidated office building into a dual-branded hotel. The 12 story, 260,000-square-foot H Hotel adaptive re-use project took approximately 17 months to complete.